Dr. Crystal Molnar grew up in Grande Prairie, Alberta and moved to Edmonton at the age of 18 years of age to attend the University of Alberta. She received a Bachelor or Science Degree with a major in Animal Science and graduated with Distinction. After graduation she worked on a Dairy farm in Australia for a year before applying to veterinary school in Saskatoon, SK. She was accepted from the Alberta pool of candidates – about 160 applicants vying for 20 spots. Following graduation from Veterinary School and passing her board exams (phew!) she practiced as a mixed animal practioner in Bluffton, Alberta before moving back to Edmonton to be closer to family. Back in Edmonton, she practiced in a companion only practice in Riverbend for 7.5 years before trying her hand at mobile practice for the last 3 years. 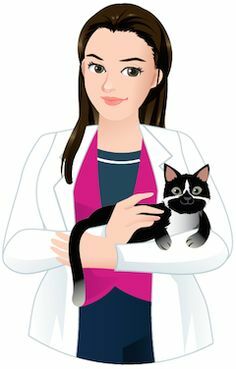 While she enjoyed both conventional practice and mobile practice they each had their limitations in providing the best care for the beloved fur babies under her care. That is when her idea to start a practice that combines both mobile practice and conventional practice came to be. Her passion for her chosen career began as a child running around with her cousins on her Grandmother’s dairy farm. She enjoyed the chickens, cows, dogs and cats that roamed all over and she was able to see the true value of not only the animals that helped to provide our food but also the bond that their caretakers had with each and every animal on the farm. She wanted to combine her love of animals with her love of medicine and science that was nurtured by her parents growing up as she watched them take excellent care of their patients and helped them to grow their families. Her pet family started with a little stray dog they called Pandy. Pandy showed up in the winter and was terrified of letting people in. Eventually she began to come in and out of the garage and allowed people to love her. After Pandy stopped coming around her family got their first dog from the Edmonton SPCA. Teddy was a very loveable mixed breed dog that took great care of everyone until she passed away at 16 years of age. When she started University she adopted her dog Buddy. Buddy was a Bichon that had a rough start in life and taught her how to love and care for even the challenging pets that are just afraid to trust people because they have been let down in the past. Dr. Molnar is dedicated to providing the most current, wide range of veterinary care to all the furred, feathered and scaled friends and family out there. In her pursuit of excellence in veterinary medicine she trained in massage therapy in 2008-2010 and started a Master’s degree in Traditional Chinese Veterinary Medicine in 2016 so she could also offer options to her clients including Acupuncture, food therapy, Tui-na and herbal therapy. In her spare time she enjoys quilting, cake decorating, traveling and visiting with her friends that live around the world, hiking (especially in the beautiful Rockies) and she is an avid reader of anything Science Fiction – she could be the president of both the Harry Potter and Hunger Games fan clubs.